When you realize you need a bodyguard, you want to make sure you find the right person. You must fully trust your bodyguard to protect you and your property. So how do you find the right person for this important responsibility? You start by looking for the right characteristics. 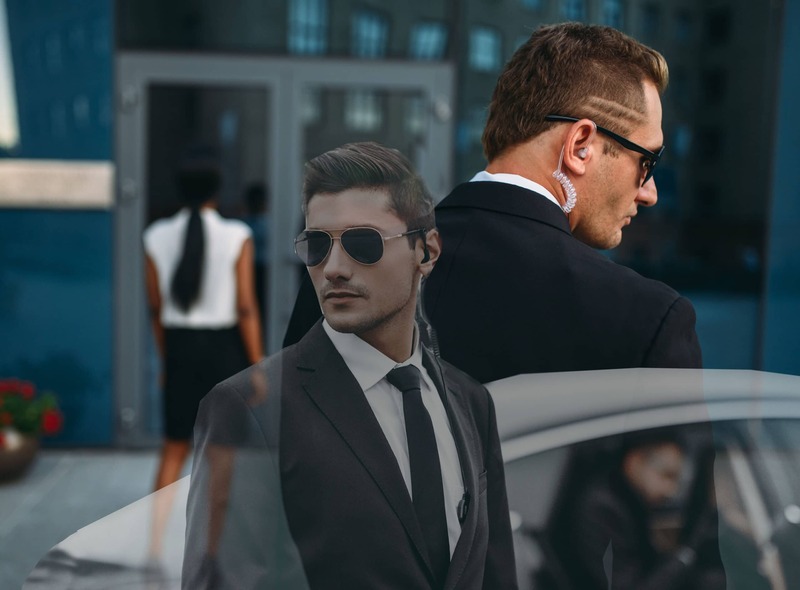 Here are the qualities you should look for when hiring bodyguards for executive protection services. The very nature of a bodyguard’s job requires physical and mental acuity. You don’t want to hire someone who’s just starting out. Instead, look for a bodyguard who has extensive military and/or law enforcement experience. Former police officers and military personnel have the expertise necessary to keep you and your materials safe from harm. The skills and capabilities of these professionals include observation, detection, deterring, reporting, physical intervention, and handling of firearms. Finding the right executive protection professional goes beyond his or her experience and training. Your search goes right down to the core of who this individual is. This person must possess good judgment. The proper judgment includes thinking on one’s feet and acting appropriately. Signs of good judgment include a calm demeanor, intelligence, and critical thinking. Your bodyguard should have exceptional driving prowess. Apart from holding a driver’s license, a bodyguard must possess professional driving skills to save lives and property. Knowing how to drive safely, quickly, and effectively during a crisis is a trained skill that many people don’t have, but the right one will. While your bodyguard doesn’t necessarily need to be a great public speaker, you want one who is able to communicate with confidence, accuracy, and eloquence. Interpersonal communication skills, including verbal and gestural, go a long way to providing you with the necessary protection. Your bodyguard should be physically fit and of sound health. Executive protection may require swift movements, physical contact, and strenuous encounters. A good bodyguard doesn’t need to be an exceptionally buff bodybuilder but should have a fitness level that meets the requirements for the job at hand. A bodyguard should always be alert and paying attention to his or her surroundings. You should not have to be concerned about your bodyguard giving into distractions or losing focus. Remaining constantly watchful is a core attribute of the ideal security professional. You should look for an individual who has customer service training and experience. This is because your bodyguard will be working with those around you at all times, including guests, customers, or clients. You want to hire a bodyguard who works well with others. This includes other bodyguards as well as anyone else close to you. Your bodyguard must be able to cooperate and respect these individuals. While the right security officer should be able to communicate and work in a team, he or she should also be able to work well alone. Your bodyguard should be able to conduct his or her duties without a supervisor. As a bodyguard, he or she must be productive without direction or oversight. Protection personnel must exhibit professionalism in every sense of the word. This individual must be polite, courteous, and free of any arrogance or sense of superiority or aloofness. Remember, this person must be able to maintain and improve your reputation, not damage it. You may not want to employ a full-time bodyguard or even contract one on a consistent basis. The right bodyguard will be available within a 1-hour response time to meet your needs. The bottom line is to never compromise on the quality of a bodyguard. You only deserve the best of the best. Beau Dietl & Associates has professional bodyguards with all of these attributes, so you know you and your belongings will be in good hands. Contact us if you would like to learn more about our security services.